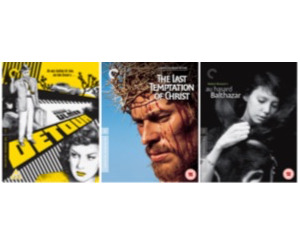 The Criterion Collection and Sony Pictures Home Entertainment are delighted to add three new titles in April 2019 we are giving YOU a chance to win a copy of all three on Blu-ray™. the most vicious femme fatale in cinema history, Ann Savage’s snarling, monstrously conniving drifter Vera. Working with no-name stars on a bargain basement budget, B auteur Edgar G. Ulmer (People on Sunday) turned threadbare production values and seedy, low-rent atmosphere into indelible pulp poetry. 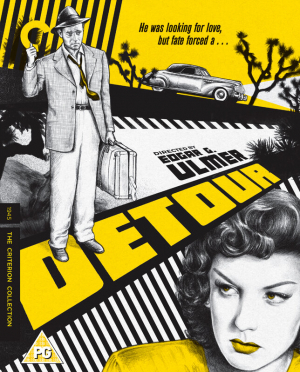 Long unavailable in a format in which its hard-boiled beauty could be fully appreciated, Detour haunts anew in its first major restoration. 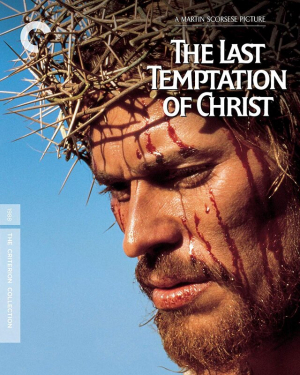 The Last Temptation of Christ, by Martin Scorsese, is a towering achievement. Though it initially engendered enormous controversy, the film can now be viewed as the remarkable, profoundly personal work of faith that it is. This fifteen-year labour of love, an adaptation of Nikos Kazantzakis’s landmark novel that imagines an alternate fate for Jesus Christ, features outstanding performances by Willem Dafoe, Barbara Hershey, Harvey Keitel, Harry Dean Stanton and David Bowie; bold cinematography by the great Michael Ballhaus; and a transcendent score by Peter Gabriel. Bresson achieves the pinnacle of his art in the tale of a gentle creature’s journey through a cruel world. 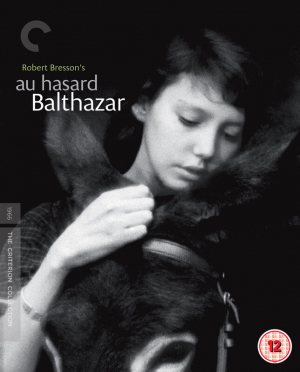 A profound masterpiece from one of the most revered filmmakers in the history of cinema, Au hasard Balthazar, directed by Robert Bresson (Pickpocket), follows the donkey Balthazar as he is passed from owner to owner, some kind and some cruel but all with motivations outside of his understanding. Balthazar, whose life parallels that of his first keeper, Marie, is truly a beast of burden, suffering the sins of humankind. But despite his powerlessness, he accepts his fate nobly. Through Bresson’s unconventional approach to composition, sound, and narrative, this simple story becomes a moving parable about purity and transcendence.